Growing up, I don’t actually remember ever eating country fried steak. After I got married, I started making it occasionally, because despite the fact that he introduced me to kimchi and tom yum soup and sushi and cioppino, I married a guy who occasionally craves things his mother or grandmother cooked. His culinary guilty pleasures tend to contain trans-fats. 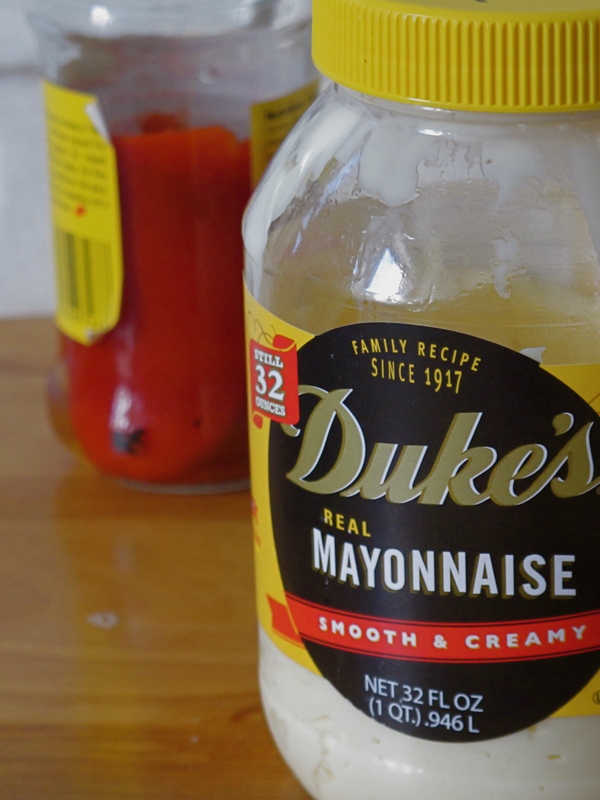 His mom could give Paula Deen a run for her money in butter usage; she makes a mean tuna noodle casserole; she sometimes country-fries things; She’s not afraid of Crisco. So for love, I learned to fry. Sometimes. 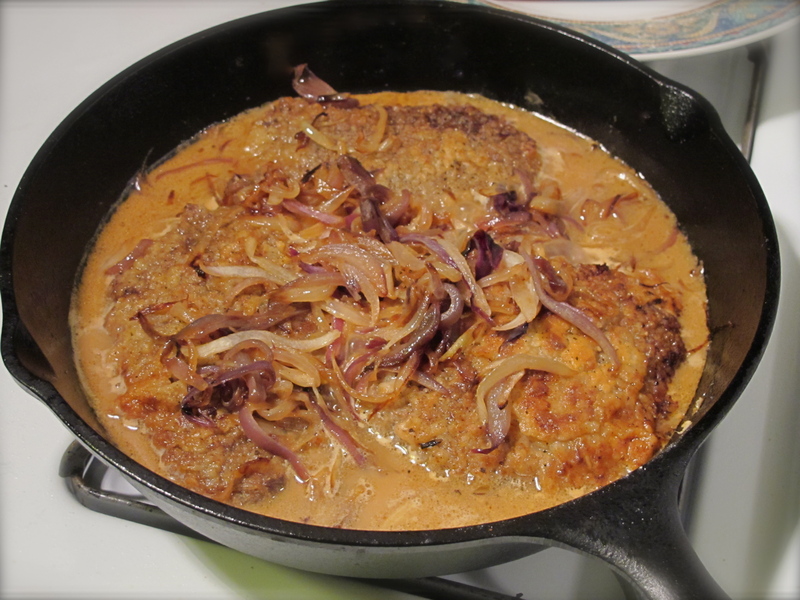 When I started looking for actual recipes for country fried steak, I discovered that there are a couple of significant variations: I have always dredged, pan-fried and then covered and cooked the meat in a sort of self-made brown gravy. A lot of recipes almost deep fry the meat, then make a cream or milk gravy separately and pour it over the top when it is served, very much like a weiner schnitzel. It’s interesting then that that version has its roots in Texas with its significant influx of German immigrants in the early 19th century. Anyway, getting back to the issue of aesthetics: I used red onions. It was the best I could do. 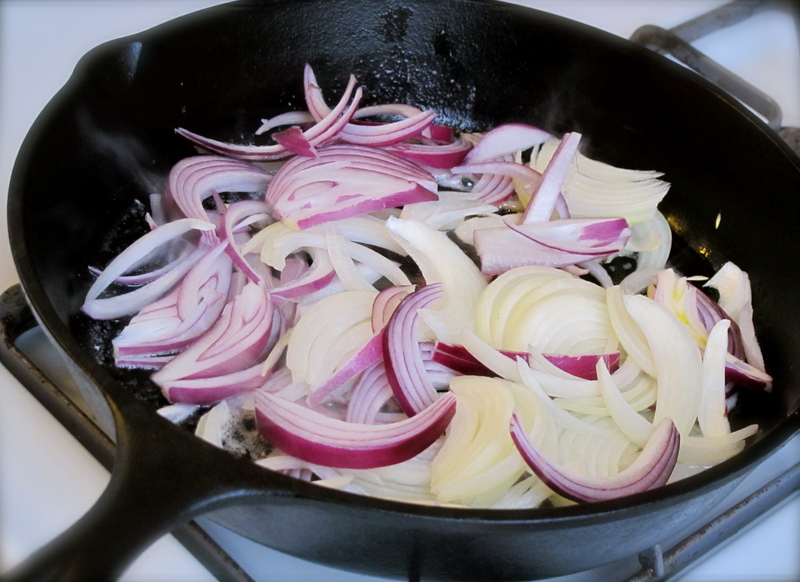 In a heavy skillet, slowly saute’ the sliced onions in about 1 tablespoon of the oil until they are a sweet softly wilted tangle. Remove from the pan and hold for later. Meanwhile, dip each piece of meat into the milk, then dredge it in the seasoned flour. Cover the meat completely, but dust off any extra that isn’t well adhered. As each piece is covered, set it aside on a plate for 10 minutes or so before frying them. The flour will begin to absorb the milk and juice from the meat and will get a bit of a crust. Once the onions are cooked and the meat is all dredged, add a couple more tablespoons of oil to the pan and heat it until it shimmers slightly. Lay the meat in the pan and fry until both sides are golden brown. Scatter the onions back over the pan, pour in the 1/2 cup of milk, enough water or broth to surround but not cover the meat, and that splash of Worchestershire sauce. Bring the liquid to a simmer, cover the pan with a heavy lid and keep the heat on low for about 15 minutes until the meat is very tender and the gravy has thickened. Driving through the Southern country side in the winter: black trees, bare and sharp against a pearly sky like Japanese ink paintings, maybe the lucky surprise flash of a scarlet cardinal; tawny fields with folds and furrows like the creased hide of a sleeping lion. 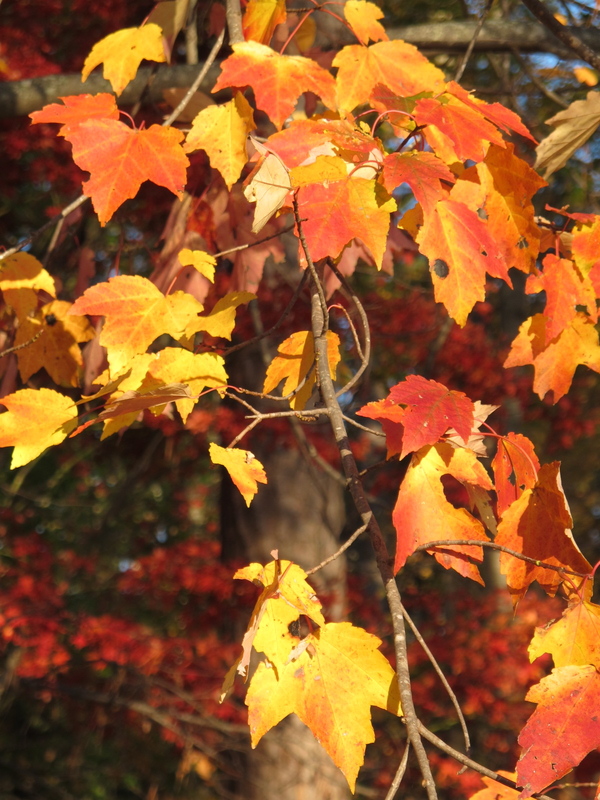 It’s beautiful and restful in its monotony of winter-softened color, nothing to jar the eye but the occasional murder of black crows, or the pounce of a rusty hawk on some unwary rodent-until late Winter when the forsythia and quince suddenly explode like firecrackers and take your breath away for a second. Even the winter gardens sitting lonely beside older homes have a subtlety, an unkempt bed-head look to them; mostly left to their own devices while their gardeners stay in the warm indoors, they are patches of root vegetables and earthy greens that burnish and sweeten with a little frost. 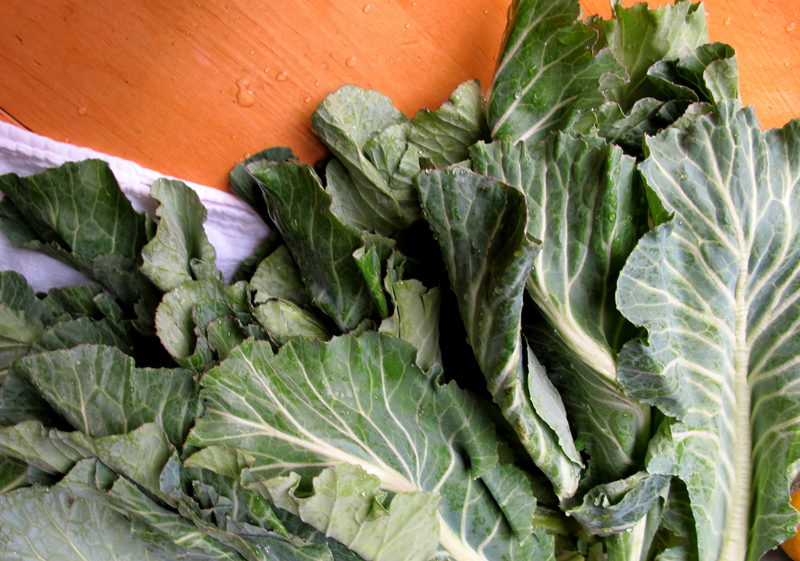 Collards, with their dusty chalkboard-green leaves like well-worn old leather are the beauties of the bunch. They are Brassica like cabbages and broccoli; the leaves are braised, traditionally with smoked meat seasoning, until they are meltingly tender. Scott likes them with apple cider vinegar mixed into the pot liquor in his bowl; I like them with sriracha sauce (yes, green top, rooster- that one). Since most of the work of cooking collard greens is in the preparation, I always make a big potful and freeze the leftovers for a busy day. I fill the kitchen sink with enough water to float all of the leaves so that any dirt or grit can sink to the bottom and then swish and wash the leaves really well, checking for ugly leaves and little creatures that may have tucked themselves into the bunches (this is probably more critical if you are growing them yourself- we found plenty of little caterpillars on the greens we brought in from our garden last year). I usually slice out the fibrous stems, cut the leaves in half long ways and stack them up like bundle of dollar bills to cut them across into wide ribbons. Meanwhile, in a big stock pot, I bring about a quart of water to a simmer. I don’t always use the same meat, but something with a little fat and some deep smoky flavor – diced bacon, smoked ham hock, a ham bone, or smoked turkey legs. While I’m cleaning and cutting up the leaves, I let the meat simmer in the water, covered with a lid, to start infusing the broth. Because I love their smoky heat, I usually throw in a dried chipotle or two. I add the greens and a little salt, clap the lid on again and let them collapse in the heat, with an occasional stir, checking they don’t steam out of liquid, slowly braising them to tenderness. I usually like my vegetables on the crisp side- not the stereotypical “boiled to death” green beans and carrots and peas and spinach that give vegetables a bad name. 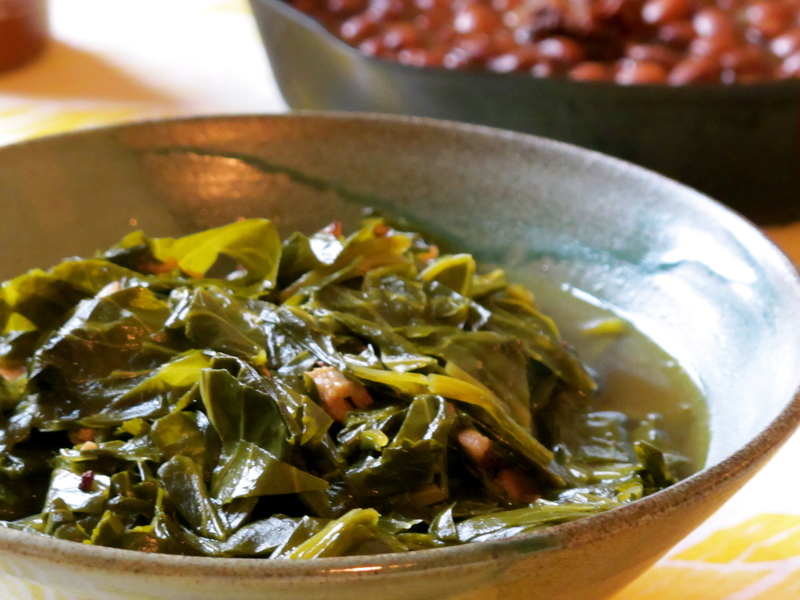 But collards are an exception: like a tough, lean veal shank reaches its apotheosis as osso bucco after a long gentle braise, so the relatively fibrous collard leaves become rich and tender and flavorful. I don’t mean boiled though, a low simmer really, and I use a minimal amount of water so the flavor of the greens isn’t diluted too much. If I’m using anything but bacon, I’ll get tongs and pluck the bone out of the pot toward the end and shred the meat off to add back into the greens. We’re still sort of in that “mud season” between winter and spring up north; the Union Square Greenmarket stalls carry parsnips and turnips and cold storage apples (and I got sleet burn on my face last time I was there). 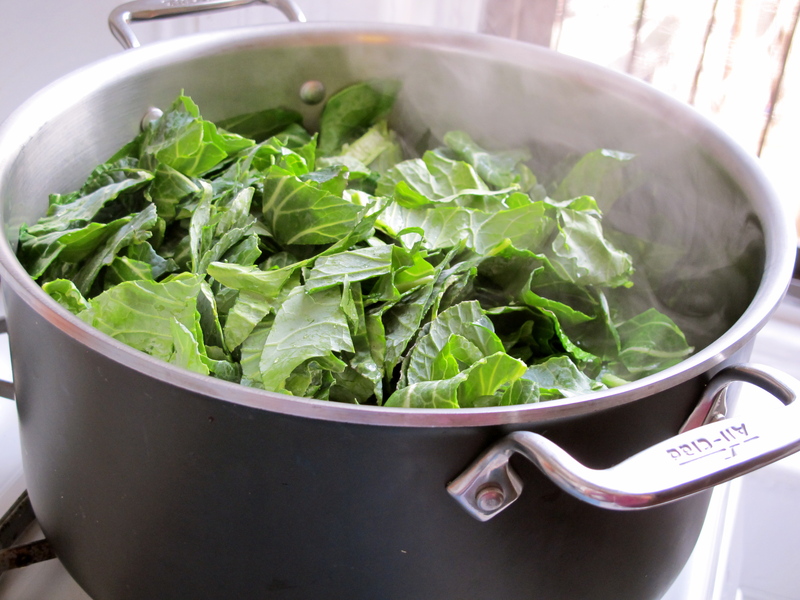 I’m beginning to crave something sharp and fresh and green but for now I’m taking advantage of the last of the gifts of the winter and making a pot of collard greens. 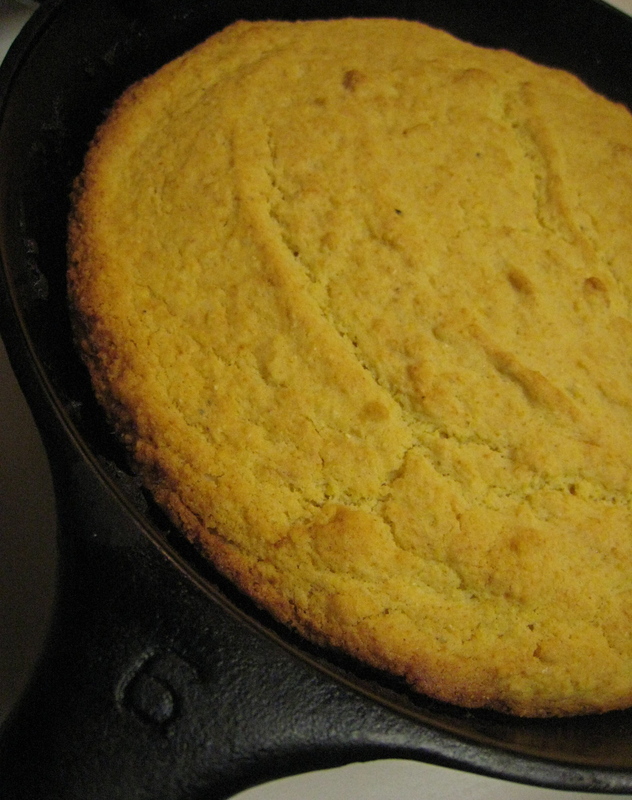 It’s especially good with beans and cornbread. Braise over gentle heat for at least 45 minutes for a big pot, until the leaves are tender, but are not so cooked as to disintegrate when stirred. We’re celebrating a birthday at our house this week. The tough thing about a December birthday is the tendency for it to get swallowed alive by the greater holiday season. 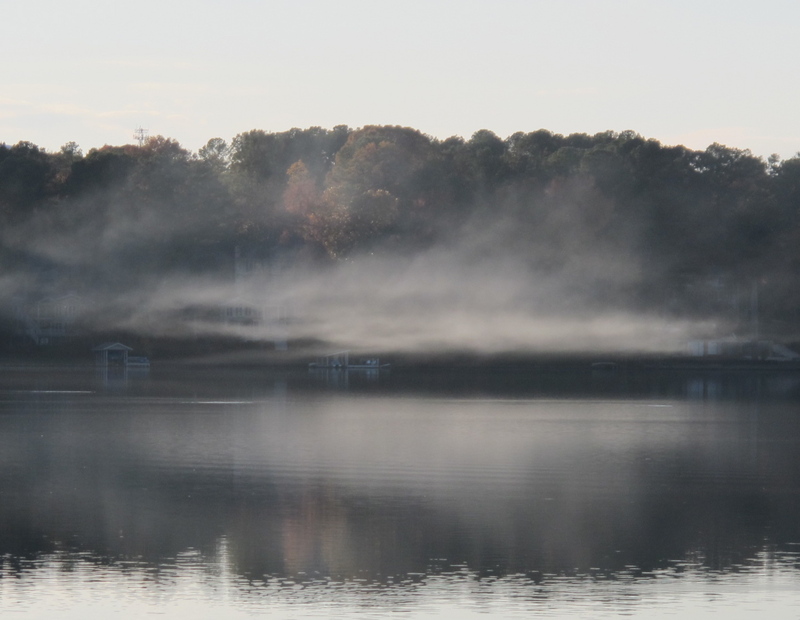 People are busy, headed out-of-town, shopping, going to Christmas parties. I really try to maintain its individual specialness by not using Christmas wrapping paper for presents, not doing Christmasy stuff on the actual birthday and not fobbing off Christmas baking as birthday cake. The birthday boy likes pie, so pie is what he gets. This year, I took about 20 minutes out of my busy schedule to make what may be the best bang for your buck homemade dessert ever- Key lime pie. I have told people how to make it before and gotten “Seriously? That’s it?” in response. Yes, seriously. It is a crumb crust and three ingredients, baked for about 15 minutes and that’s it. If you want to get really fancy, you can make the crust yourself, but don’t even think about squeezing the limes, or you are on your own as far as I’m concerned. Preheat the oven to 350. Blend the first three ingredients with a whisk or electric mixer until smooth. Pour into the crust and bake for 12-15 minutes until it has a softly set, slightly jiggly center. Cool. A snowdrift of whipped cream would also be lovely dolloped on top. See? 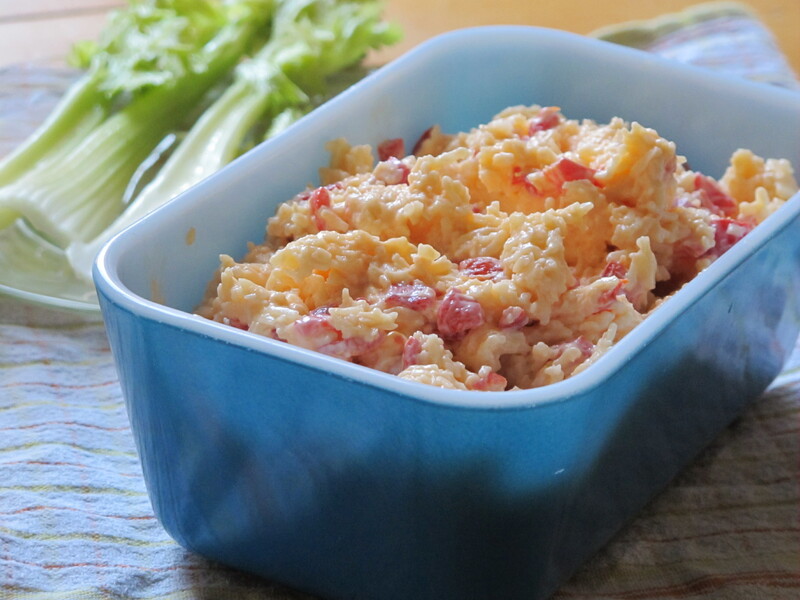 Tangy, custardy, creamy, and easy peasy! I’m adding, for those of you who might want to make you own crust, and in keeping with the three ingredient limit on this post, a recipe for a crumb crust. 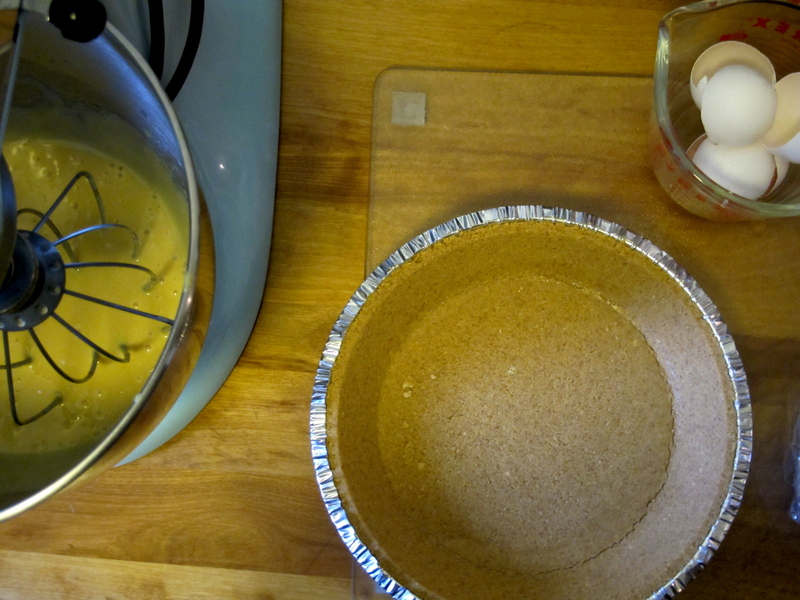 Mix the three ingredients together, thoroughly combining to make sure the butter is all mixed in. 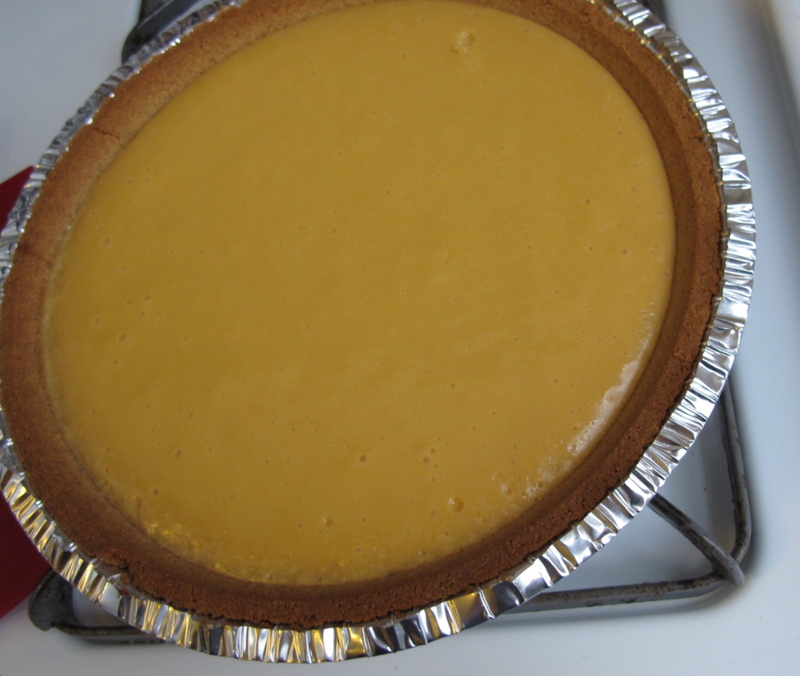 Pour the crumbs into your pie plate and firmly press them into the bottom and sides to cover it evenly. 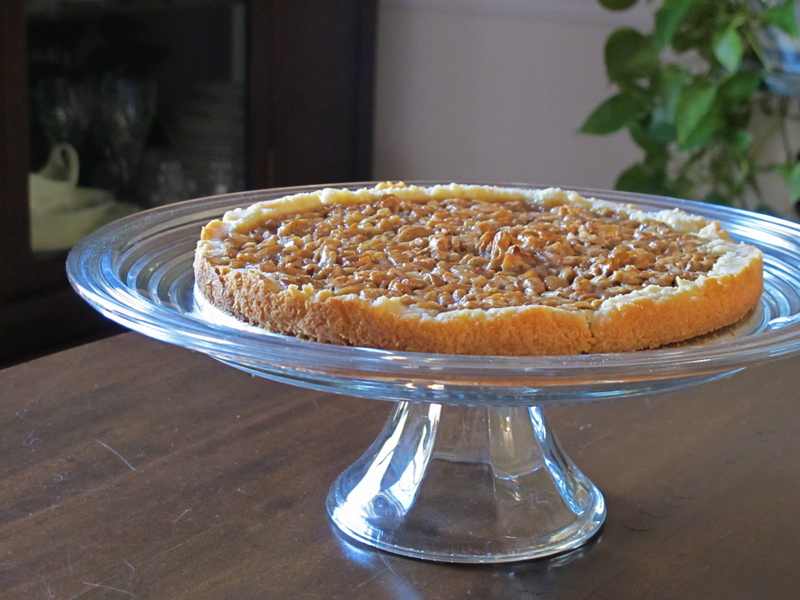 I use the bottom of a glass or another pie plate to get a smooth, even crust. Bake for 7-9 minutes at 350˚. I’m not going to say that I choose my Super Bowl team based on the city with the most appealing gustatory traditions, but if someone wants to draw that conclusion based on my making gumbo today, I can offer only a half-hearted defense. What do Colts eat? I don’t know, but I do know that I’ve had gumbo on the brain for weeks. Last Friday found me in Old Oakland at the Friday farmer’s market and the Old Housewives Market. 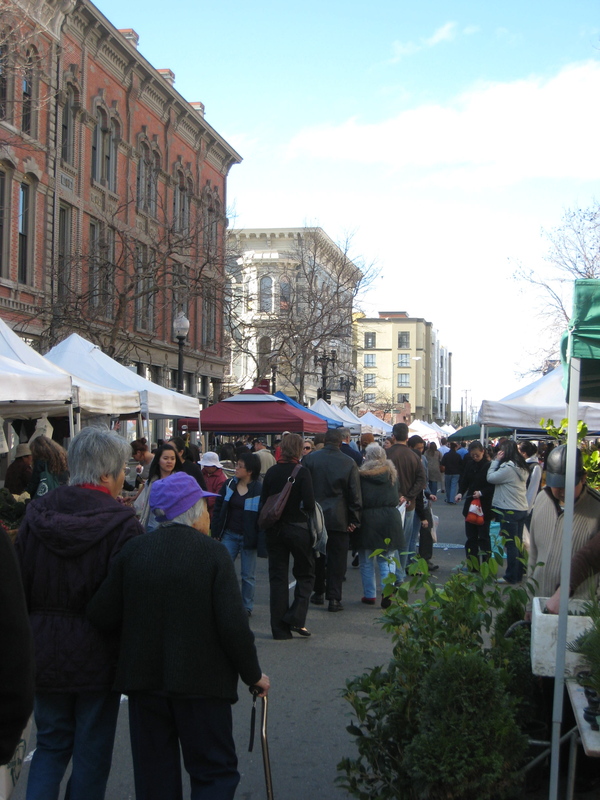 A bustling farmer’s market in February is one of the loveliest things about living in this area. 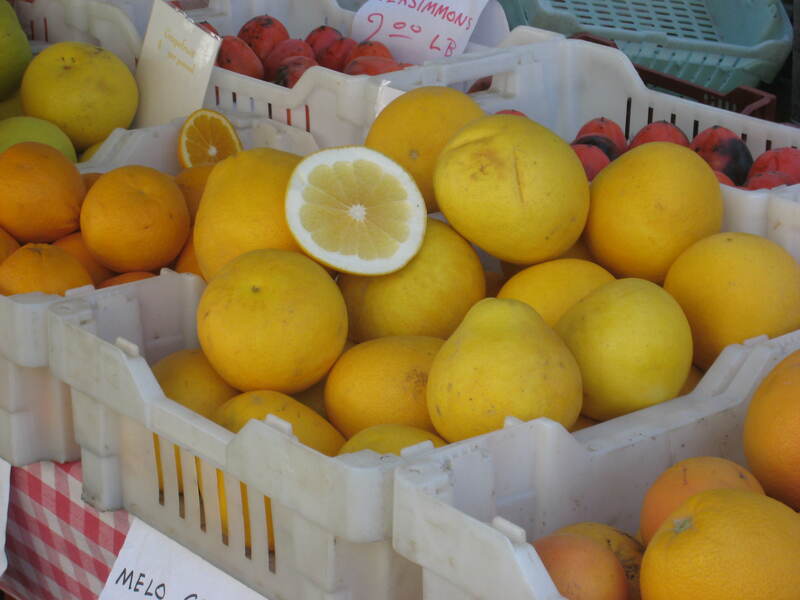 It was full of greens and citrus, cruciferous and root vegetables. 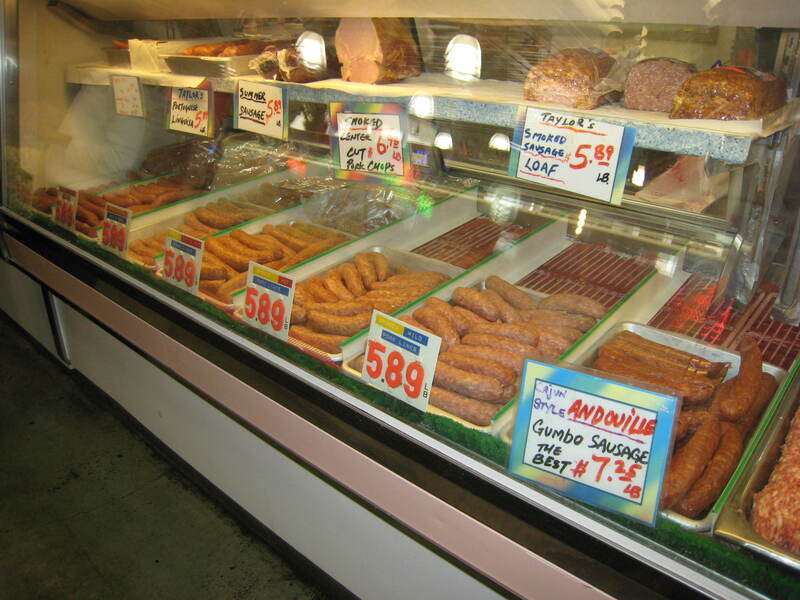 I briefly considered what looked like a rubber chicken which was actually a real chicken complete with head and feet and suitable for stock-making, but I was single-minded and on my way to Taylor’s Sausage for some hot smoked sausage, then on to Ranch 99 for a duck. 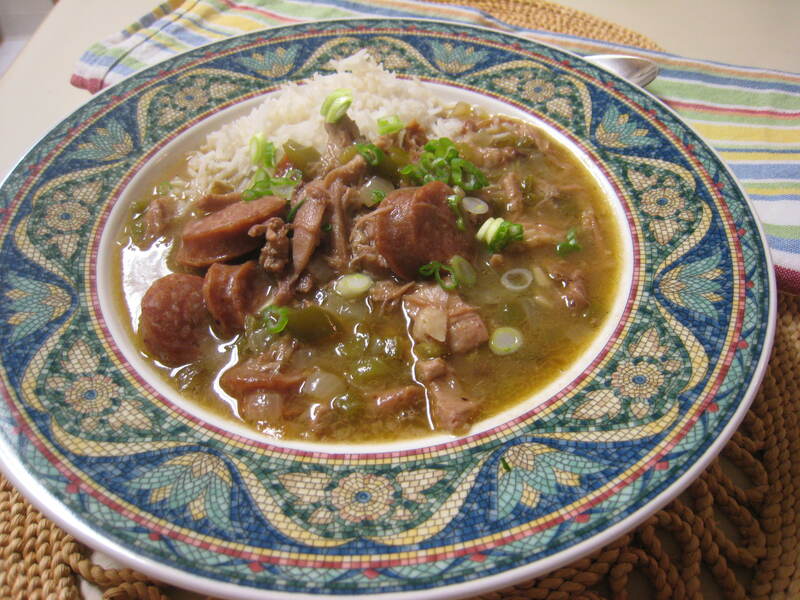 My gumbo today was based loosely on Southern Living’s Chicken and Sausage Gumbo recipe with several notable differences. When I made the roux, I used a couple of tablespoons of bacon fat that I had in the refrigerator to add a little smoky depth to my peanut butter colored roux. The duck had been broken down and the bits and bones made into stock. The breast and legs were poached in the stock and shredded and the stock de-fatted before pouring it into the roux and vegetables. While I love okra and tomatoes in gumbo, I was looking for a deep smoky winter gumbo. The dark roux added so much body and flavor to the soup that it didn’t miss the okra thickener. Let’s just say that if we had had a cooler full of icy Gatorade lying around the house this evening, it would not have been inappropriate to douse me with it after supper, cause, baby, that gumbo was a winner!